It is well known that the Toronto Maple Leafs have a lot of players with one year left on their contracts. That number to be exact is 14, more than half of the roster. To that point, we can be fairly certain that the Leafs will be busy at the 2016 NHL Trade Deadine. Whether it’s trading those potential rental-players or a bigger trade including one of the Leafs’ longer contracts, the Leafs will more than likely try to acquire more draft picks and prospects. We can also assume that the returns in those deals won’t include that many NHL players. So obviously, the Leafs would need to replace the departed players. The question is, with who? Some might say that it should be players like William Nylander, Kasperi Kapanen and Connor Brown, the Leafs top three prospects playing with the AHL’s Toronto Marlies. We can fairly be certain that Mitch Marner won’t find his way back to the Leafs this season as he plays for the London Knights, one of the OHL’s top teams. However, that is not the way the Leafs should handle things. The Leafs have more than a few players that could fit in for a half-season. These players would be given the chance to show what they can do with an extended stay with the Leafs, whether it’s their first time with the Leafs or have prior experience. Here are 5 players that could see time with the Leafs after trades inevitably occur. Leivo has played a total 16 of games with the Leafs over the past two seasons. He has two goals and an assist in that time. Drafted in 2011, he has been with the Leafs organization for a while and he still hasn’t had a real shot with the Leafs. This season could be a turning point for Leivo. A restricted free agent at the end of the season, the Leafs should give him the chance to see what he can do in a stint that lasts longer than 10 games. With the Leafs rebuilding, it’s time for them to find out if Leivo can be a part of their future. Signed in the middle of last season, Bailey would go on to play six games with the Leafs. He even scored his first NHL goal in the season’s final game. 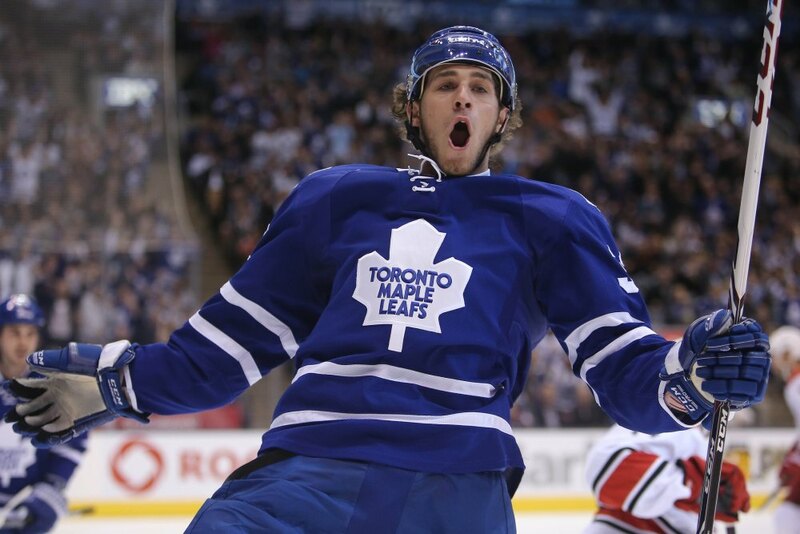 He signed with the Leafs in part because they would give him the chance to play with the team last season. Now, he has already been sent back to the Marlies. However, he could be one of the first call-ups should an injury occur or a trade happens. Soshnikov is another player the Leafs signed last season and he still remains with the team in the pre-season, at least at this moment. He has played a total of 90 games in the KHL over the past two seasons, scoring 16 goals and adding 21 assists for 37 points. That could give him an advantage when it comes to prospects being called up as he has already played against men. The fact that he has stuck around the pre-season as long as he has could be evidence that the Leafs really like him. Oh what could have been? That is a question that Percy must ask himself about last season. After a very strong pre-season, Percy earned a spot on the Leafs blue line. That was the good news. The bad news came when he would be injured seven games into the season. When he recovered, he was sent back to the Marlies. He would go on to play two more games last season, but that was it. Now the Leafs have brought in even more defenseman that have pushed him down the depth chart. That being said, he could find his way back to the Leafs if players like Roman Polak are traded. 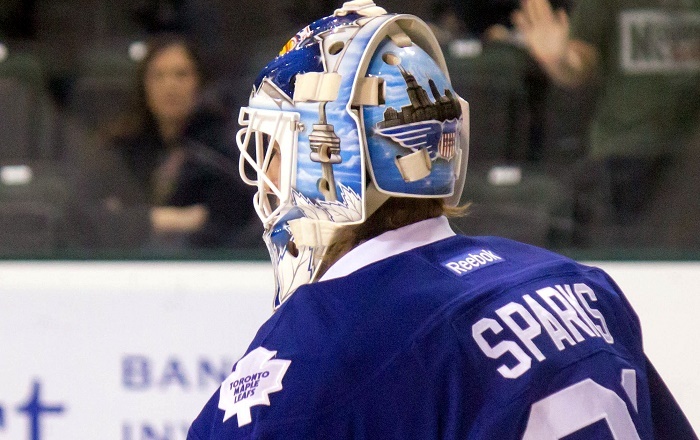 The real beneficiary of the Michael Grabner acquisition, Sparks will step in as the starter for the Marlies after leading the ECHL’s Orlando Solar Bears to the playoffs last season. If one of Jonathan Bernier or James Reimer get hurt, Sparks is the obvious choice in the shorter. If one of them is traded however, it could be a different story. Would the Leafs choose to bring in a veteran goalie rather than have a young goalie be the back-up? If the Leafs think Sparks can be a good goalie for them in the future, he should be given the opportunity if it arises.